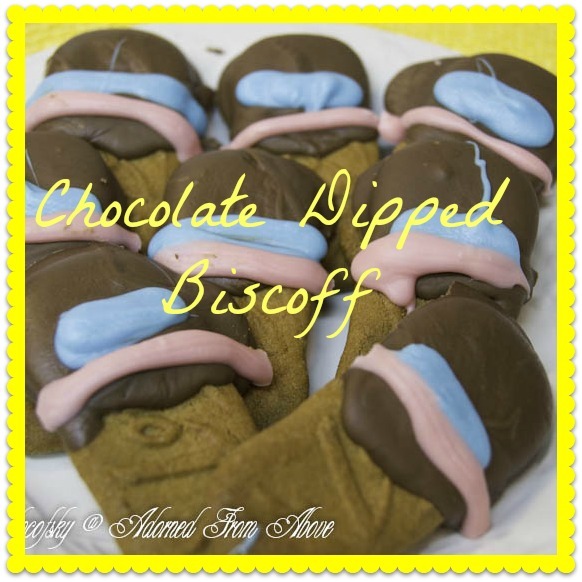 We now have 11 Blogs participating and we are so excited to share our fun posts with you. 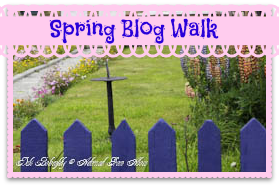 The Spring Blog Walk will be in the sidebar of each blog starting March 15th for 1 month. Spray nonstick cooking spray in your mold and set aside. In a mixing bow for a mixer pour 1/4 cup water and sprinkle gelatin over the top of the water. In a saucepan put 1/3 cup water and 1 cup ultra fine sugar. Stir. Heat over medium heat stirring until the sugar has dissolved. Then turn on mixer and carefully pour the hot syrup into the bowl, taking care not to get it on the sides of the mixer or the mixer paddle. Mix on medium low for a minute or two, until mixed with the gelatin. Then turn mixer to medium high and beat for about 11 minutes, until the marshmallow has stiff peaks. Next put the marshmallow into a ziploc bag and cut off a small piece of the corner of the bag. Gently squirt the marshmallow into each of the molds, making sure that you don't overfill the molds. You want your marshmallow to lay flat. I had some extra marshmallow in the bag still and I just piped it onto a cookie sheet to look like peeps. Let the marshmallow set up in the molds for a few minutes. In the meantime pour your sanding sugar on plates so that you can dip you peeps into the different colors. Pop your peeps out of the mold and put in the sanding sugar. 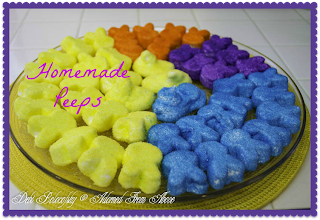 I set them in the sugar on one side and then turned them over and did the other side and pushed the sugar up around the sides and ears of the peeps. 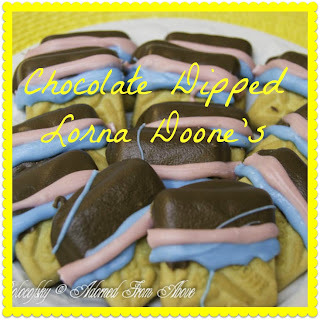 Set on a serving platter or put into candy bags. Mix peanut butter, powdered sugar, salt, and butter in a mixer until smooth. Set aside. Next, put chocolate chips and coconut oil in a microwave safe bowl and melt for 30 second intervals, stirring every 30 seconds. It should take about 1 1/2 minutes to melt the chocolate. 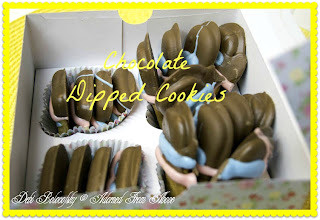 Put chocolate in a pastry bag or a ziploc bag and cut a corner and pipe chocolate into the bottom of the muffin liners. 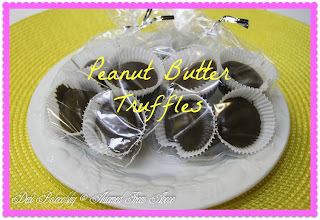 Next, make 12 patties out of the peanut butter and put it on top of the chocolate. 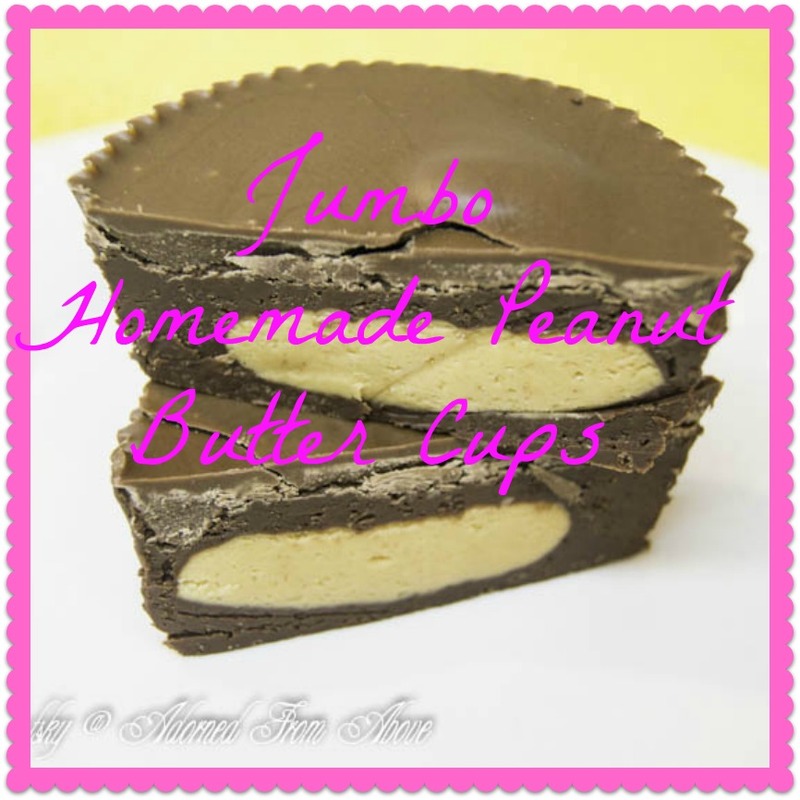 Then pipe the rest of your melted chocolate over the peanut butter. Put muffin pan in refrigerator to help set chocolate. Put candy liners into the cups of a mini muffin tin. Next, put chocolate chips in a microwave safe bowl and melt for 30 second intervals, stirring every 30 seconds. It should take about 1 1/2 minutes to melt the chocolate. 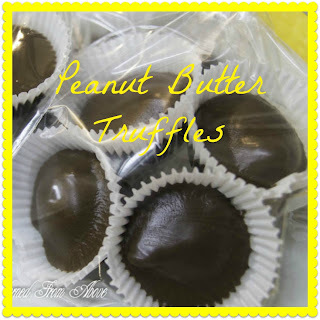 Roll peanut butter into 20 balls and drop into chocolate 1 at a time. Use a spoon to remove chocolate covered ball and place in a candy liner. Then, melt Wilton's Blue Vanilla Candy melts in a microwave safe bowl and melt for 30 second intervals, stirring every 30 seconds. It should take about 1 minute and 10 seconds to melt the candy. Drizzle over the Almond Clusters. Put chocolate chips in a microwave safe bowl and melt for 30 second intervals, stirring every 30 seconds. It should take about 1 1/2 minutes to melt the chocolate. Then dip each cookie in the chocolate and lay on a cookie sheet lined with wax paper. 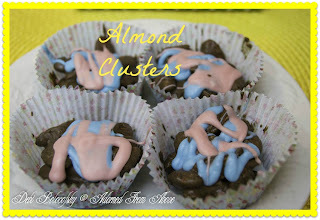 Let harden and put in muffin cup liners to serve. Makes 40 Chocolate Dipped Cookies. 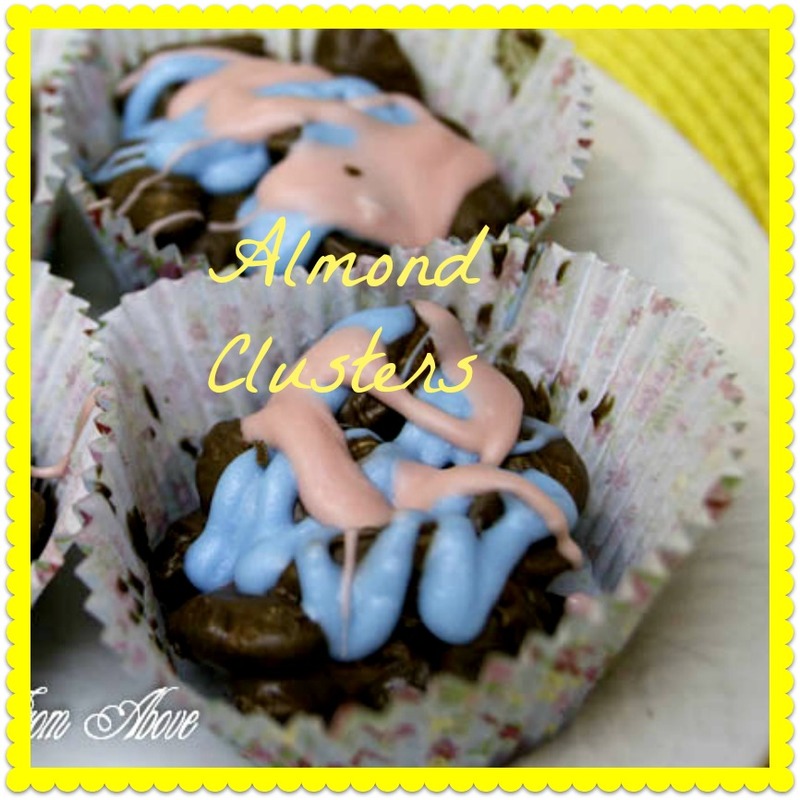 We hope that you enjoy these recipes and that they give you lots of ideas for Homemade Easter Candy. We also hope that you have fun at our Spring Blog Hop. Come over and link to my party also! Thanks so much. We really had fun doing this. So happy to do the blog walk with you. It was fun to do, and those peanut butter cups were amazing. Thanks for stopping by. We were so happy to have you join our spring blog walk. The peeps came out so cute. I was really surprised at how easy they were. Thanks for stopping by. Your two have been very busy and it shows. Your candy all looks delish! Looks like you are ready for the Easter Bunny. We were busy. It was crazy for a few days here, but we did it. Thanks for joining us in our blog walk again. We love seeing your recipes. WOW you have made me so hungry! 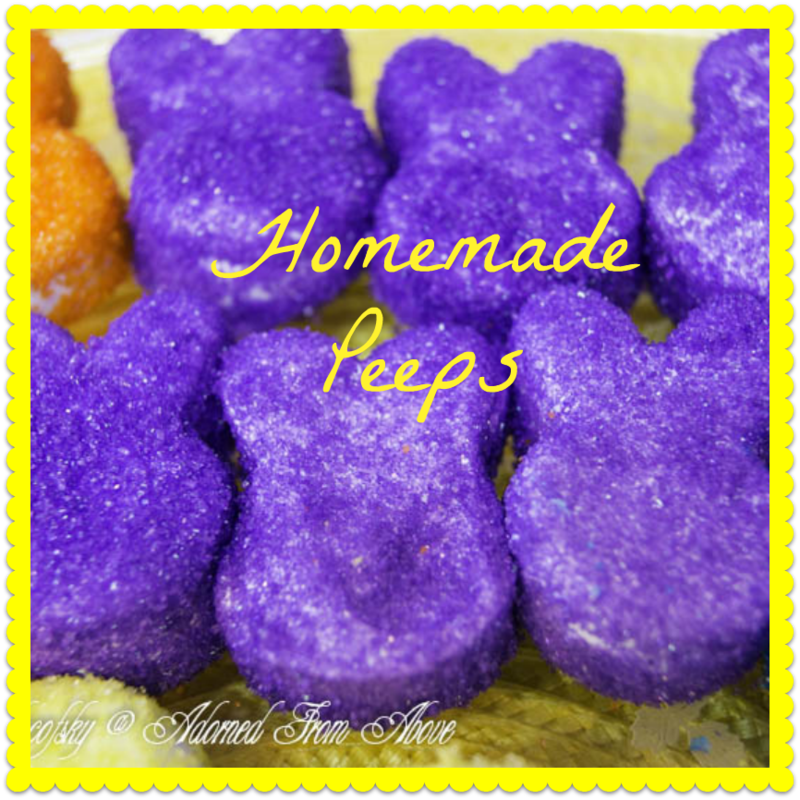 And I never knew you could make peeps! I have got to try that! Thanks for sharing on We Made That! I never knew I could make peeps either. Once Charly found the mold it was a done deal. 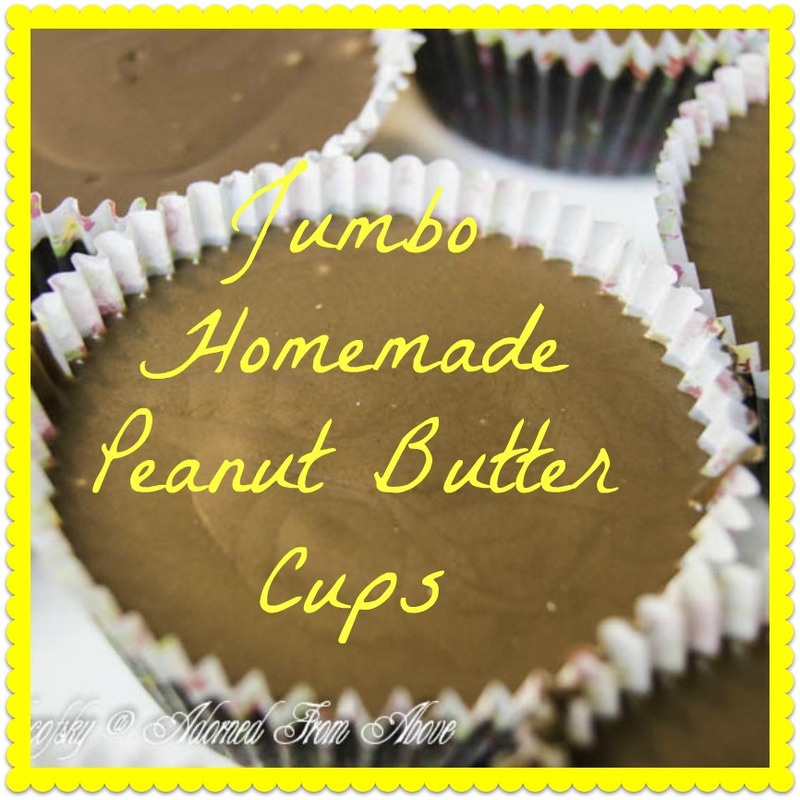 They are pretty easy to make also. Thanks so much for stopping by. Have a great weekend. 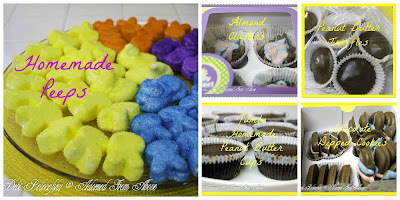 Thanks so much for featuring our Easter Candy. We are so excited. 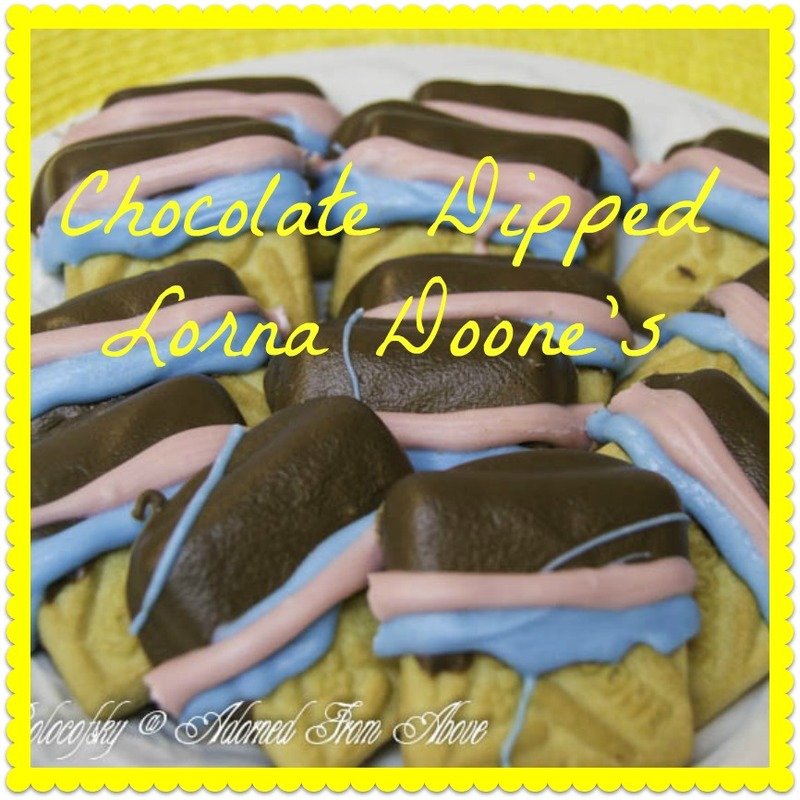 It was really fun making them, but more fun to eat them. Have a great week. Thanks so much for sharing this at the Say G'Day Saturday party! I have pinned this and shared on Twitter and Facebook too. Hope you to see you again this weekend! We are so excited to have you feature out Easter Candy. We really appreciate it. In October when you pinned our Homemade Chex Mix we got 2,000 pageviews. Thank you so much. We really appreciate it. So many great recipes. I run & hide from anything requiring a candy thermometer. Not sure why I am so scared. Thanks for organizing the walk. lots of fun recipes. I make what we call peanut butter balls. So similar to your truffles and we love them. Thanks for sharing with SYC. I have never made marshmallows before either! You make it seem so easy. Your peeps are so cute! I am in love with all of the other candies you all made too! Thank you for linking to the In and Out of the Kitchen party! I can't wait to see what you bring next week.